When you sell your car to Trade Your Car, you can be assured you’re dealing with an honest and reputable business that acts with integrity and has over 25 years of experience in the automotive industry. Reputation is particularly important when it concerns large sums of money and visits to your residence or work. 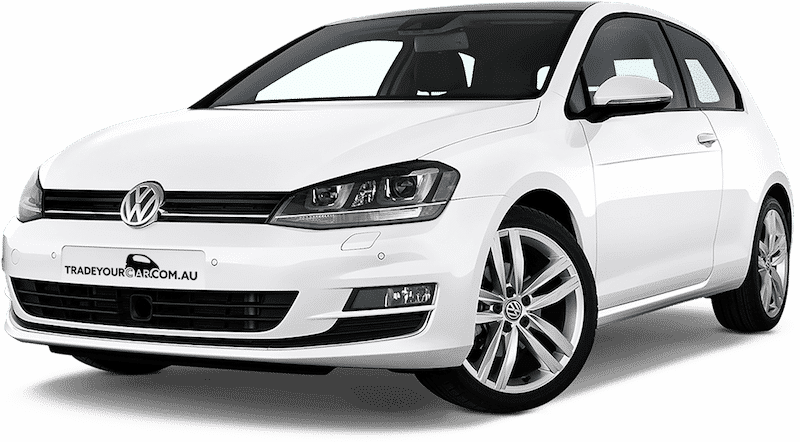 As a nationwide organisation, Trade Your Car has the infrastructure to service all of Australia. Trade Your Car is designed to meet your needs. From office staff through to professional experienced buying consultants, our processes are structured to ensure that the customer’s service expectations are exceeded. We would enjoy the opportunity to ease the process of selling your car, so please feel free to submit your details or any comments you may have regarding our service. Trade Your Car purchases your vehicle directly from you, offering a fast, easy and smart way to sell your car. We are committed to ensure that selling your car is safe and hassle-free. Our simple process eliminates the challenges that arise when selling your car. For more information see the Trade Your Car FAQ section. To provide an easy service for our customers to sell their car safely, hassle-free and risk-free. Ultimately, customer satisfaction is our ultimate priority, which is reinforced by our price beat guarantee. Very friendly and very fair with the price he offered for my car. Highly recommend! I will be going here for all my selling and buying car needs! The whole process was quick and easy. Within 4 days of our email the deal was done. Within a few hours of making an inquiry they had come and bought the car off me. Incredibly nice people, definitely recommend them! Great customer service and a big help! Boris helped us out with a trade in and came to us to pick the car up too. Would recommend! Thanks Boris! We sold our car to Trade Your Car, it was super easy. A few quick emails, then Boris came over, inspected the car and bought it. No fuss, nice people, easy transaction! Absolutely amazing service! Literally so easy and acoomodating! The entire process took one day. Would highly recommend! Sold my car last Friday. It was a quite straightforward and stressed free process. Definitely easier to do trade in with them instead of with the car dealer. Will come back again if I need to trade in another car. Will only ever go to trade your car Melbourne, Cheltenham! Boris is a really genuine person who cares and wants to help and do his best by us as clients. I had the best experience with him, if your after a place to trade in your car or simply buy another car, look no further, he’s your guy! I will definitely be going back to see him when I’m ready to trade again or buy. If I could I’d give this place a 10/10. Boris was a pleasure to deal with, and offered a much better price for my car than other companies. He was honest and upfront about pricing throughout the process. If you don’t want the hassle of selling your car privately, it’s worth giving Boris a call. Boris, the dealer is so honest and nice to deal with. Was an absolute pleasure to deal with Boris! He was very friendly and very fair with the price he offered for my car. Highly recommend! I will be going here for all my selling and buying car needs! Boris was an absolute pleasure to deal with from the outset. He gave me a very fair price for my Subaru Forester and made the process easy from start to finish. This is the first time I haven't sold a car privately and I would definitely recommend Boris and use him again. Interesting business! He values your vehicle by looking up carsales whilst on the phone to you, then offers less than the cheapest comparable vehicle which is unroadworthy due to considerable hail damage. Amazing service from Boris & his wife. I can’t believe how easy selling my car was, Boris offered me more than I could get trading it in and gave me some great advice for buying/selling a car next time. 100% recommend! Had a great experience with Boris, with a fast hassle free sale. Fair price and great service. Excellent service, very quick and smooth transaction.Sold 2 cars in one go, very honest and upfront about prices, great experience.Hope to deal with you guys again in the future. We had Boris and his lovely wife come to our residence to inspect and value one of our cars.It was an extremely pleasant meeting, what a lovely chap. Very happy to have dealt with him. I had very positive experience when I sold my car to Boris from Trade Your Car Melbourne. The process was easy and hassle free. Boris paid a fair price (above what a Subaru want to pay) and it was nice to know that my car was going to good home. It’s always good to phone around when selling your car but definitely start here. The whole process was quick and easy. Within 4 days of our email the deal was done. Will beat dealer trade in price also which is a bonus when you can't be bothered selling privately, but also don't want to get ripped off!! Thanks Boris. It was a pleasure meeting and doing business with Boris. He was friendly, honest and reliable. Would happily deal with again. Boris was a pleasure to deal with professionally and socially. I was in a rush and he made time to get to me early. Would definitely deal with him again. Boris was very thorough and offered a fair price for my car. Excellent service and I would use him again if I ever want to sell or buy a car. Thanks Boris for helping us selling our ute.. Excellent service will definitely come back..
Boris was very knowledgeable and friendly to deal with. Came to meet me on a Sunday afternoon. I’d definitely recommend the service. I did the online valuation this morning and literally 1 min later I received call from Boris. A few hours later, Boris showed up, and I sold my car within 30 mins, nice and smooth. What a hassle-free experience. Will definitely recommend Boris to everyone who needs help with their car. Boris made the transaction quick, easy and above all it was a pleasure to deal with him and his team. A bonus was I got an amazing price for my car, don't bother with dealerships or selling privately - call Boris! I called Boris and within 24 hours I had sold my car to him. Professional, quick and smooth transaction. Glad I called him. A positive experience in selling our car. Boris was prompt in coming to view the car at our home and we appreciated his honest and courteous approach. An excellent service; fast, fair and friendly. A good price was offered without unnecessary haggling and the whole process was straightforward and open. I checked several other options and this was the best deal with the least hassle. The process was simple and hassle-free. I completed the online form, received a call from Boris straight away who organised for an inspection the following day. After inspecting my car and taking it for a short test drive Boris offered me a reasonable price for my vehicle which I was satisfied with. The paperwork was completed on the spot and I was offered the option of cash or bank transfer. Boris and his wife are lovely, I did not feel pressured to sell my vehicle at any stage. I would highly recommend using Trade Your Car. Great dealing with Boris on the sale of our old Forester, he gave us a fair price and was positive and friendly throughout the transaction. He even came back the next day to return the eTag which we'd forgotten to remove. Highly recommended. My wife wants to sell her small 2-door European car as she upgrades to a new one, I made an appointment with Boris and he turned up on time, very polite, and we made the deal in 40 minutes. It's a good experience for me to sell our car quickly and securely.Would recommend to my friends! Such a quick process! Lovely, professional people who genuinely just want what is best and easiest for you. Thanks Boris for buying our cars (Mazda and BMW) this morning. Surprisingly, It was a very quick and easy process ,you were here on time and it was All done and finished in 45 minuets!! Just wanted to let you know that it was a very good experience. Thanks. Nima. My wife had upgraded her car and I needed to sell her old one. I did not have the time to sell privately along with the hassle of roadworthy and dealing with tyre kickers. Called Boris who came to my house, made a fair offer and I was shocked when he payed in cash! Polite, friendly, and professional. Would definitely recommend. We experienced good customer service and were given a fair price for the vehicle we sold. Great experience selling my car. Highly recommend - very fast and a great price! Great service, very friendly, Thank you so much! The team at Trade Your Car made the sales process so easy for me. They're a wealth of knowledge and experience and I would absolutely recommend them to anyone who wants a seamless experience when they sell their car. Service was great! The process was fast and easy. The people are friendly too! Terrific experience & service. They made it simple for me - a very seamless transaction. They came to me to inspect the car on the weekend which was the most convenient time for me. They offered slightly more than the trade-in price quoted by a major dealer. Paid in full immediately. Very professional, friendly and efficient. Highly recommend. Would highly recommend. What could have been a stressful time was made hassle free. Boris was really nice to deal with, gave a reasonable quote, arranged to pick up the car at a later date and the whole transaction went really smoothly. Easy, convenient and professional experience. Great service. Boris was great to deal with. He made the process hassle free. Would definitely recommend. Great service, very prompt and easy to deal with. Thanks again! Impressed with the pleasant and honest approach of Trade Your Car. I'd been thinking of selling my car for months and thought it would be a hassle, but Trade Your Car did it all including transfer papers within the day, for an agreed price - how easy it was! The team at Trade Your Car provided fast hassle free service and were a pleasure to deal with. Thank you Boris. Sold my car quick, easy to deal with and great customer service. Thanks guys!! 'Trade Your Car' made life so much easier when I decided to sell my Volkswagen Golf. The process was seamless. They bought my car on the same day. Would recommend to anyone wanting to sell a used car. Bravo! Very professional and efficient service. The process was so fast and hassle free. I had a great experience selling my car.